If you want to self-study Japanese there are plenty of ways to do so. One such way is by buying textbooks on Japanese and going through them at your own pace. 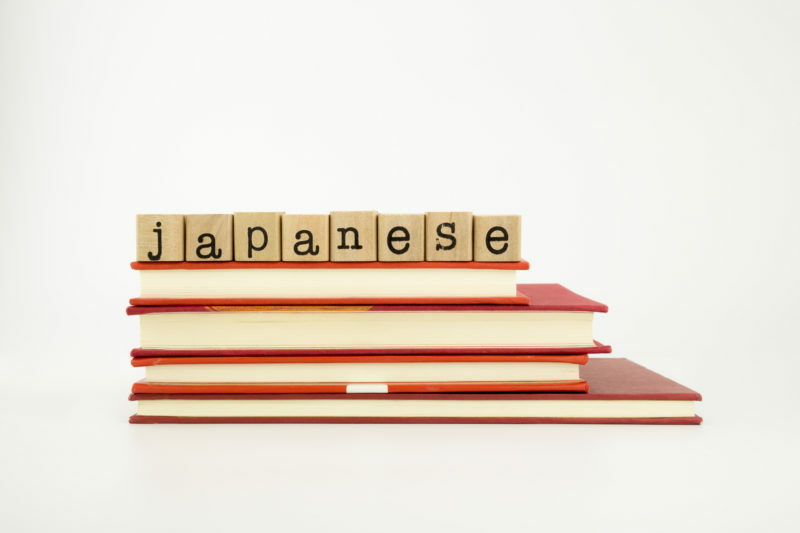 There are multiple ways to learn to speak and read Japanese and textbooks are just one way of doing so. If they work for you great, if not you can find another way. Once you find a way of studying Japanese that works well for you it’s good to just stick with it until you’ve either conquered this language or it’s not working anymore. If you do want to try reading textbooks this guide will list the ones that have helped many people learn this challenging language. These are the two Japanese syllabaries that you need to know in order to read any book on this list. Hiragana is used in Japan for every word that doesn’t use Kanji. Kanji is the complex Chinese characters that Japan borrowed for their own written language. Katakana is used for English words that Japan has borrowed. A great app to learn both Katakana and Hiragana is Dr. Moku Apps. This app can be used on an Apple or Android device as well as on a desktop or laptop computer. There is also a physical book that can be purchased. Perhaps the best textbook for learning Japanese is Genki. This is a two-volume series that has 25 lessons in it. If you want to know how to learn Japanese with Genki than just follow through the example sentences and follow some characters through a series of short stories. Each story has the perfect amount of vocabulary to learn. How to learn Japanese with Genki also includes a CD that provides you with an audio version of the short stories as well as examples of vocabulary read by native speakers of Japanese. Genki will teach you all of the basics you need to know about Japanese and you will be able to engage in simple conversations. When you buy these two books also get the answer key as well since it includes answers for all of the quizzes in both of them. You are going to come across words while reading that you don’t know. You will also sometimes need help with a grammatical term. You can look these up in Genki but not always find the answer you seek. For this reason, you need to buy a Japanese dictionary. The best dictionary to buy is called A Dictionary of Basic Japanese Grammar. This is a set of three books that are published by the Japan Times, the same organization behind Genki. These books have a wonderful layout and the explanations are well written and very clear. They also provide plenty of sample sentences so you fully understand the context of each word. This is an online resource that comes highly recommended by those who have used it to learn Japanese. This podcast is very well produced and will really help you comprehend Japanese while you are listening to it. It’s great for learning grammar and includes plenty of example sentences. On each episode of Japanesepod101, the two hosts are Peter Gallante and a native Japanese speaker. They talk about a story, use humor to make the podcast engaging, and discuss things in a well thought out way. Each episode is equal parts casual and poignant which makes them very memorable. Podcasts are great for when you want to continue your learning about Japanese while you are on the go. You can listen to them on your commute whether in your car or on public transportation, for example. For Japanesepod101, you really feel like you get to know Peter Gallante and his guest hosts when you listen to it regularly. Some people start out their journey learning Japanese by skipping out on listening comprehension and instead focusing on reading Japanese. This is a big mistake as you will never really understand any language without knowing how to both read and speak it. By doing both you will get into the flow of the language and really accelerate your learning. Start out learning both Katakana and Hiragana and then start in on Genki. You want to keep the context of what you are learning so using flashcards is something you ought to skip. Once you start listening to Japanesepod101 you will want to start at Newbie Season 1. It doesn’t follow along with Genki when it comes to grammar points so it will teach you something different and you can learn from both. Sometimes you’ll come across something in Genki you already learned on Japanesepod101 or vice versa which really helps reinforce the lesson in your head. Japanese manga is enjoyed around the world nowadays. Many people would like to read their favorite series in Japanese which is entirely doable. The great thing with manga is that the sentences are usually pretty short and they don’t use a lot of complex words. If you want to start reading manga than the book you want to buy is called Japanese the Manga Way. This book uses scenes from many of the most popular manga as examples of how to read written Japanese. You will learn a lot of useful information that you won’t find out in regular textbooks such as colloquialisms and slang. Once you have worked your way through this book you will be able to successfully read manga in Japanese. This book teaches the odd sentence enders and grammar variations used in manga that you simply won’t find anywhere else. The best way to learn Kanji is by joining WaniKani, an online Japanese community. You will meet awesome people on WaniKani who are more than willing to help you out in your journey of learning Japanese. You will learn Kanji as well as lots of vocabulary that people use out in the real world. WaniKani breaks down Kanji into small parts that it calls primitives. From there you make up stories that help you remember what the meaning is of each Kanji character. This really helps insert the meaning of these characters into your long-term memory so that when you come across them down the line you will recall what they represent.